International education services company BMI continues its expansion and range of events in Vietnam by signing a Memorandum Of Understanding (MOU) with the Centre for International Education Consultancy (CIEC), an organisation attached to the International Cooperation Department of the Ministry of Education and Training (MOET) in Vietnam. The MOU was signed on 22 January 2019 by Samir Zaveri, President of BMI, in the presence of Phùng Xuân Nhạ, Vietnamese Minister of Education & Training, Ed Vaizey MP, the Prime Minister’s Special Envoy to Vietnam, and His Excellency the Vietnamese Ambassador to the UK, Tran Ngoc An. The MOU confirms BMI as the only private education fair organiser to receive official Vietnamese Ministry of Education approval and formally endorses the support of the CIEC and MOET for BMI’s Vietnam Global Education Fair and the Vietnam Global Boarding & High School Fair. The latter event is a new one, launched to meet the rapidly increasing amount of Vietnamese students who are studying at primary and secondary schools as well as summer camps overseas. 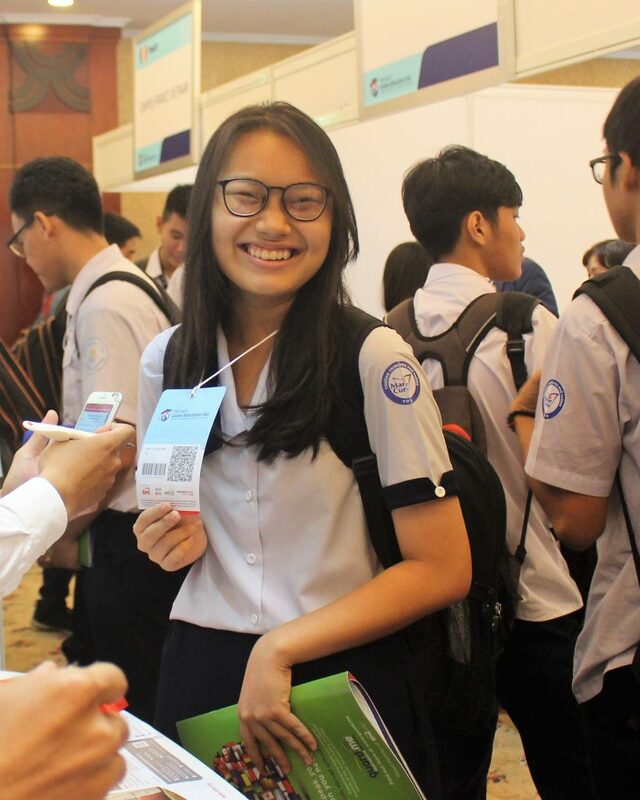 This new K-12 sector fair takes place simultaneously with BMI’s Vietnam Global Education Fairs in October 2019 and forms part of Vietnam International Education Week. BMI Agent Workshop Asia in Ho Chi Minh City (15/16 October 2019). Vietnam International Schools Forum & Workshop in Ho Chi Minh City (17 October 2019). Vietnam Global Education Fair, which includes visits to international high schools, in Ho Chi Minh City (18-19 October 2019) and in Hanoi (20 October 2019). Vietnam Boarding School and Summer Programs Fair in Ho Chi Minh City (19 October 2019) and Hanoi (20 October 2019). The four events comprising Vietnam International Education Week are designed to support Vietnamese students, families, researchers, counsellors and universities’ international office directors seeking education opportunities overseas, as well as help overseas institutions connect with locals in Vietnam to internationalise the educational experience they provide. Established in 1987, BMI offers a variety of solutions to provide international education professionals with a multi-touch recruitment strategy covering both online and offline activities across Asia, Brazil, Latin America and the Middle East. BMI holds over 60 events in more than 20 cities across 13 countries every year. The Ministry of Education and Training (MOET, Bộ Giáo dục và Đào tạo) is the government ministry responsible for the governance of general/academic education and higher education (training) in Vietnam. The International Cooperation Department (ICD) and its Centre for International Education Consultancy (CIEC) have previously organised International Higher Education Day (IHED) for international education institutions to meet Vietnamese students and parents and which is now incorporated into the BMI Vietnam Global Education Fair. For media enquiries please contact Spencer Hawkes, Director of Special Projects: spencer@bmiglobaled.com. To join the events, you can register now or contact us for assistance.